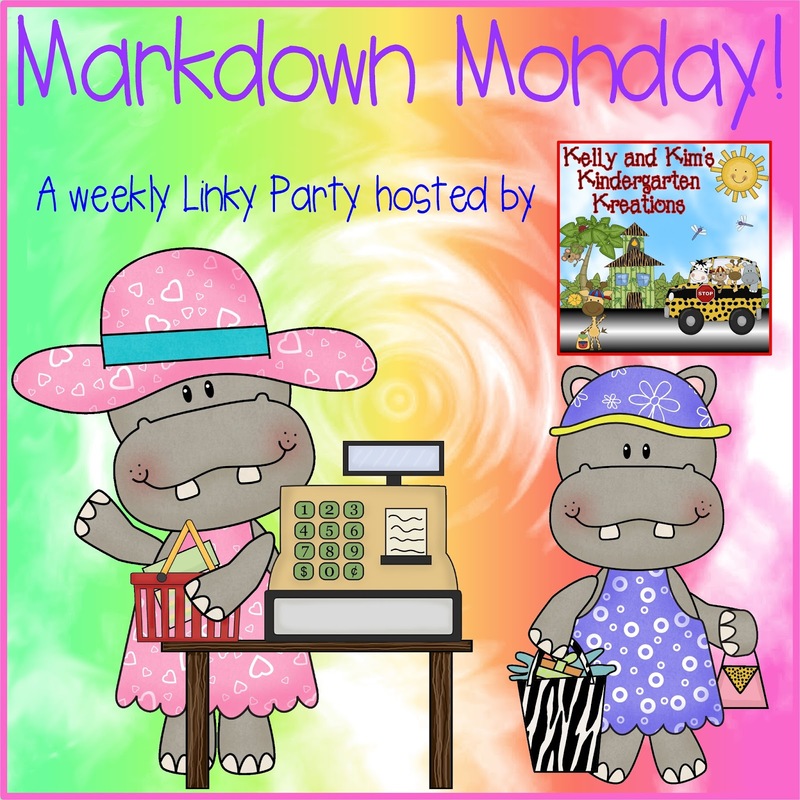 like to "markdown" until Sunday, March 5th. 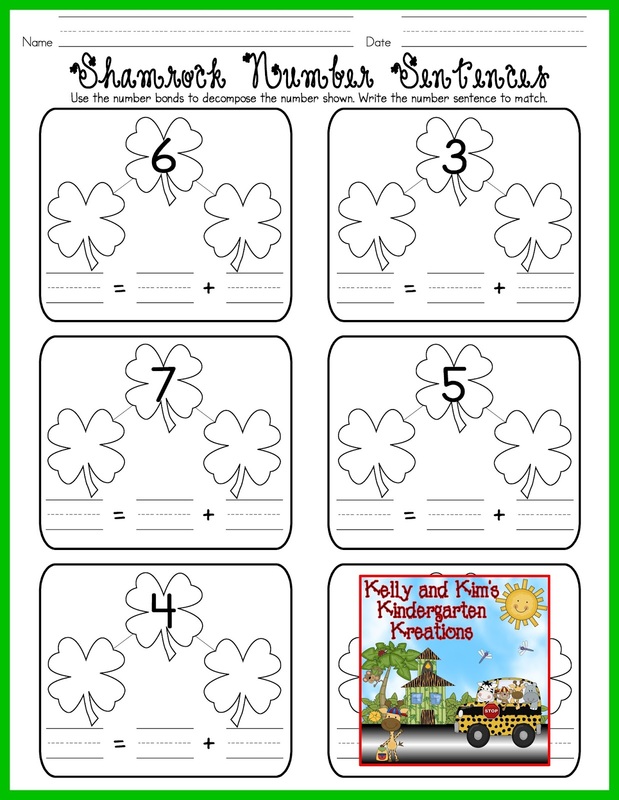 Our Shamrock Number Bonds are great way to practice composing and decomposing numbers. 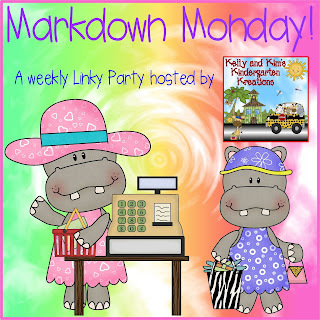 They will give your children great hands-on learning and they are cute too! 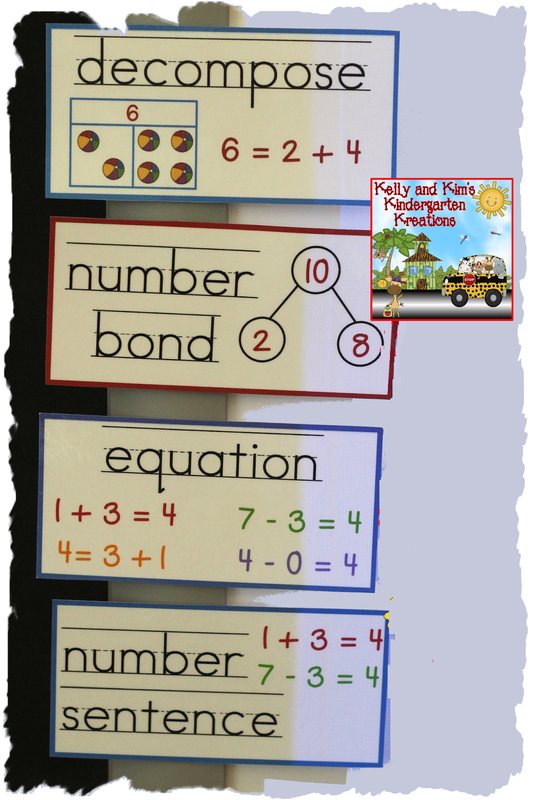 We have included large and small number bonds, numerals from 0-20, recording sheets, and assessments. Before they worked together in cooperative groups, we used large shamrocks and children to act out decomposing a set of three. The large shamrock these children are standing around has the word "whole" on it. They are a group, or set, of three. We then asked the question, "How can we break a set of three into two smaller parts?" The children moved themselves to the two other shamrocks that have the word 'part' written on them. They broke the whole into two parts of 1 and 2. Our children are already familiar with the terms compose, part/part/whole, equation, and number sentence. Now we introduce them to number bonds and decompose. We use a math word wall to help learn new vocabulary. The children loved being able to use the number bonds to find multiple ways to decompose each numeral. For each new way they found to break a number apart, they recorded their number sentence on the recording sheet provided. We have also included three different assessments for you to choose from based on the needs of your students. We have also included everything that you see above for composing numbers. 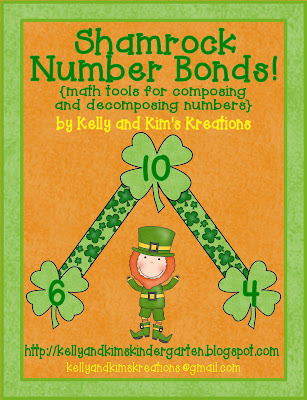 There are so many things you can do with this number bonds pack. We hope you enjoy it and your students have a great time practicing their composing and decomposing skills.